SM Gardens Phase I is a renowned residential venture of Murugan Real Estates Located in Kovai Pudur, Coimbatore. This property offers a well-equipped variety of Plots, it's a housing project that is all set to define what life should be similar to luxury space. SM Gardens Phase I takes to you luxury place in Coimbatore filled through a number of comforts, it will mark your life more pleasant and increase grace, SM Gardens Phase I also offering healthy and comfortable lifestyle, the property has been planned keeping each requirements of yours in consideration. In this housing venture all facilities are provided, like swimming pool, tennis court, gymnasium, community, indoor games, children play ground, jogger track, security and power back up. Without negotiating your living style you can enjoy your life here to make a good moments with your families and friends. This project offers 40x70 Sq.ft & 50x80 Sq.ft apartments of different sizes, space comprised in these apartments starts from 2800 to 2800 & 4000 to 4000 separately. SM Gardens Phase I is right now in Ready To Move In stage. Murugan Real Estates is a upcoming name in construction in None. The team is regionally known None builder for well executed work and timely delivery of budget buildings. Upcoming builder with a established local presence. It has already handed over 3 projects across housing and institutional buildings and is developing approximately 4 work. Review of SM Gardens Phase I, Kovai Pudur? Its price, location, builder etc. Review of Murugan Real Estates, Kovai Pudur? construction quality, trustworthy, delivery history etc.? Review of SM Gardens Phase I, Kovai Pudur location? neighbourhood, connectivity, schools etc.? 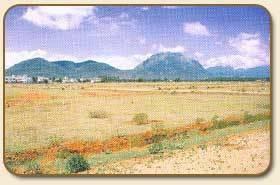 Comparison of SM Gardens Phase I, Kovai Pudur to nearby projects? Is it rightly priced? What is your feedback on this SM Gardens Phase I, Kovai Pudur? Depends on brand name and complete the project in time etc? Will this be a better option for investment or to live in SM Gardens Phase I, Kovai Pudur? Can you give some suggestion? Is the SM Gardens Phase I, Kovai Pudur has more potential in terms of capital appreciation, ROI, Rentals, Proximity to social infrastructure etc?